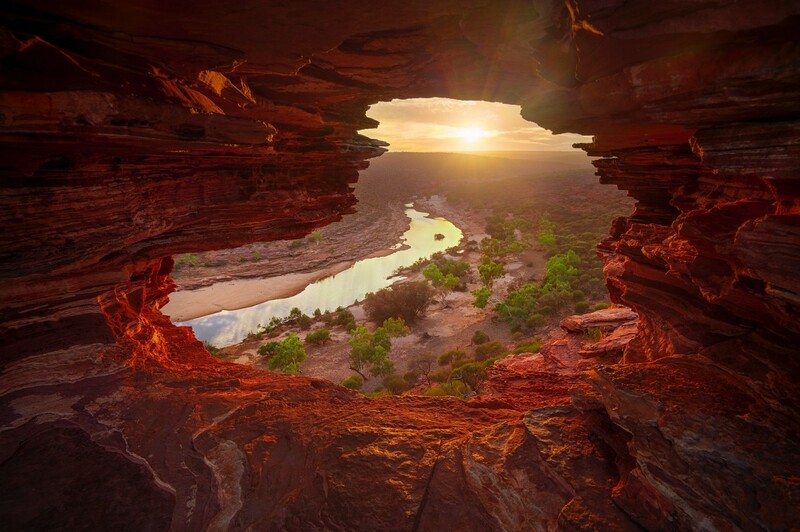 Getting the opportunity to experience the sunrise at Natures Window in Kalbarri National Park is something I am eternally grateful for. To compare my short existence to the comparative eternity of the arch, the countless number of mornings, the slowly evolving landscape it overlooks, and the history and future of all the humans and animals who have stood here and taken in the view. I had envisioned the photograph in my head. For months I worked to understand and control all the variables. I spent four hours one morning working to capture the image on camera. Four hours for one photograph. A further seven hours perfecting it to be ready for print. More important than that, this image marks the moment I realised what I wanted to do with my photography. Where I wanted to take it and how I wanted to get there. This photo alone embodies all of my ideals and hopes for the future.